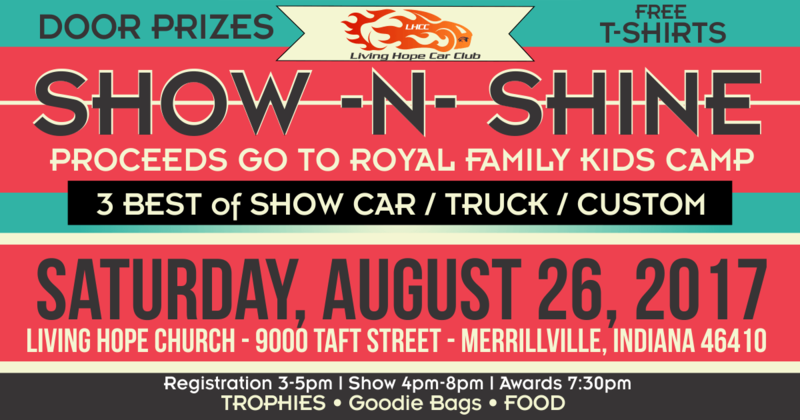 On Saturday, August 26th, the Show-N-Shine Car Show comes to Living Hope Church! You do not want to miss this epic event featuring some of the most incredible cars, trucks and lowriders around. All proceeds go to Royal Family Kids’ Camp. View the official Show-N-Shine Car Show page here.